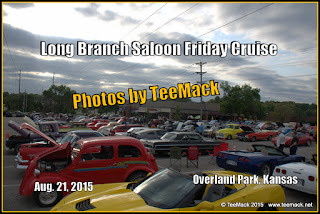 Longbranch Saloon in Overland Park, Kansas had it's weekly Friday night Cruise on Aug. 21, 2015. The weekly cruise happens every Friday night until the Fall. The weather was great with temperature in the upper 80's. Entertainment was provided by Michael Day DJ Service. Approximately 120 vehicles attended the weekly cruise. 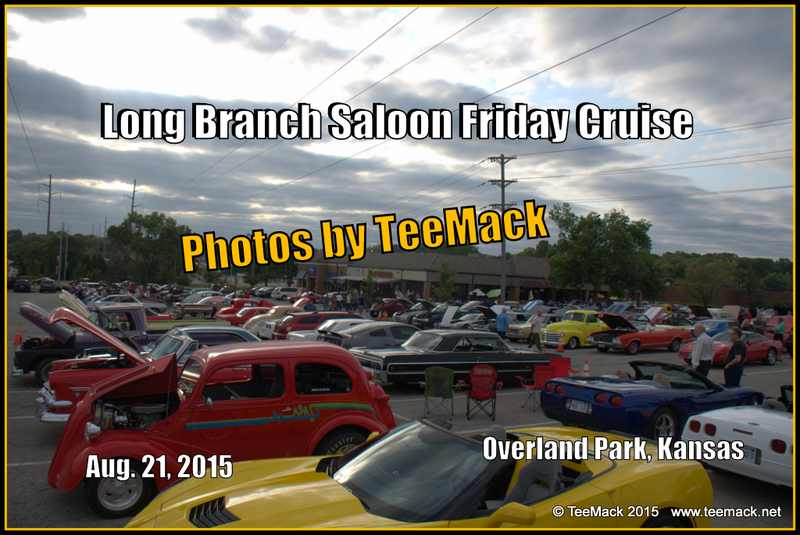 Click here to see photos of the weekly cruise.